Hello and welcome to the first Animated Tuesday! The winter 2013 anime season is pretty well established now, so lets talk about a few shows that are worth checking out and where you can watch them. 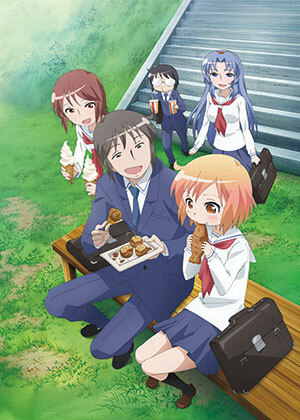 Kotoura-san-- This show is the wonderful surprise of the season. Kotoura is a girl who can read minds. The problem is, she has very little control over her ability and can't easily differentiate between speech and thought. Because of this, she has been abandoned by everyone she cared about and has decided that it's less painful to avoid any form of relationship than to have people she cares about push her away. Then she meets Manabe, a boy who isn't frightened by her abilities and whose only concern about them is that he'll have to keep any dirty thoughts in check. This show manages to shift between sweet, hilarious, and heartbreaking and covers some dark issues while still feeling sincere. The first nine and a half minutes are possibly the saddest first nine and a half minutes of any show I've ever seen, but it does not wallow in despair. Another nice thing about this show is the way Manabe's fantasies are handled. Rather than showing every detail and playing them up for fanservice, his flights of fancy are mainly conveyed through his and Kotoura's humorous reactions, with most of the shown fantasies are kept short and played for comedy. I would definitely recommend watching at least the first episode. The series is being simulcast by Crunchyroll and you can watch it with a new episode every Thursday here, with episodes available to paying users the day they air in Japan and to free users the following week. 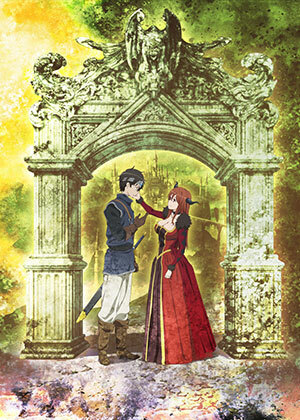 Maoyu-- Do you like fantasy? Do you like macro-economics? Then this is the show for you! Humans and demons have been at war for the past fifteen years, so a Hero is sent to confront the Demon King directly. Only the Demon King isn't a ruthless warlord who hungers to ravage the human world, but an attractive woman who wishes for the war to be over just as much as the hero does, but understands that the current economic situation will not allow peace. So the Hero and the Demon King set out to stabilize the economies of the human world so that peace will be feasible. This series is surprisingly engaging despite its relative lack of action. The economics are understandable, the relationship between the Demon King and the Hero is adorably awkward, and the background political intrigue is interesting. I would recommend this to anyone interested in fantasy with an eye at the bigger issues. This is also being simulcast by Crunchyroll with new episodes every Friday and can be watched here, with episodes available to paying users the day they air in Japan and to free users the following week. Tamako Market-- This show is adorable. Energetic, enthusiastic, slightly dense Tamako is the daughter of a mochi shop (a particular kind of Japanese confectionery made from rice) who one day comes across a strange talking bird who is on a quest to find a bride for the prince of a distant land. She is understandably shocked, but adjusts quickly and ends up taking him in and gets him addicted to mochi. It doesn't take long for everyone else in the shopping district to take to the bird as well, despite the bird displaying increasingly strange abilities. So far this show has a slice of life feel to it, establishing Tamako's relationships to the people around her, but there are mysteries present (Where's Tamako's mom? What's the significance of that song? What's up with that bird, anyway?) that hint at a larger plot. In addition, some of the relationships are more complex than they first appear. This series is being simulcast on The Anime Network, with the first episode available to free users and the rest available to paying subscribers here. New episodes are posted each week. If you are interested in the show but don't want to pay monthly rates for an indeterminate period of time just for one show, I would suggest waiting until every episode is posted, pay the subscription for one month, watch it, and then cancel your subscription. Seven dollars is a pretty decent price to rent a show. While you're at it, watch Love, Chunibyo, & Other Delusions because it's fantastic. Chihayafuru 2-- This is cheating because it's the second season of Chihayafuru, but, seriously, if you haven't watched Chihayafuru yet, do it now. Then watch season 2. Both seasons are available on Crunchyroll here, with new episodes of season 2 simulcast every Friday. That's it for the major anime recommendations of the season. Tune in next week for more me rambling about animated things!